PHP Web Developer Jobs in Chennai | Zone Tech Solutions Walkin Drive | 26th to 31st July 2017. Candidates who had completed their BE, B.Tech, B.Sc and are in a job search for those aspirants the Zone Tech Solutions is offering openings for PHP Web Developer Role. So the interested candidates whose dream is to get the job in Zone Tech Solutions can grab this chance by attending for the Zone Tech Solutions Walkin Drive 2017. Candidates should have basic qualifications to attend for the walkin drive. Both fresher and experienced candidates can apply for latest openings in Chennai. The company is looking for the dynamic and talented candidates. There is a huge competition for the jobs in this IT Software field so contenders who want to work with the Zone Tech Solutions have to qualify the rounds of the selection process conducting by the Zone Tech Solutions. One more important thing is while going to attend for the drive aspirants have to bring Original ID Proof issued by the government. Some times security people will not be allowed into the company without showing proper ID. To get qualify in the Zone Tech interview process the aspirants are advised to check the Zone Tech Solutions Model Papers and Zone Tech Solutions Interview Questions to crack the interview. If any of the candidates secure good marks in the selection process those contenders will be selected for the Trainee role in the company. The aspirants have to work independently and also as a team. The details like a job description, Walkin dates, and venue etc are furnished in the following section in a detailed manner. To know more details about Zone Tech Careers keep on visiting All India Jobs for fast and current updates. Developing websites and web applications. Ensuring foolproof of the product. Coordinating with developers and other departments. Sending updates about the project. Must work independently and also as a team. 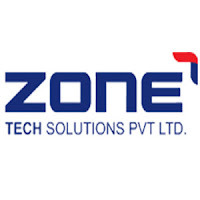 Zone Tech Solutions Private Limited is a leading company in Chennai (India) formed out of shared vision of I.T. professionals. We have already captured many clients. Zone Tech Solutions started as Web Based software Development Company, but gradually upgraded itself towards mobile Application Development, SAP, Digital Marketing, and E-commerce. 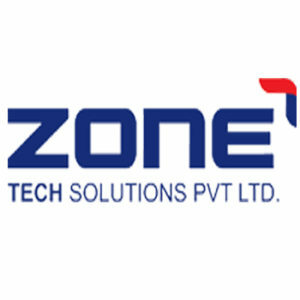 ZONE Tech stand responsible for Development and distribution of software products, Systems integration and data Processing. Commitment to service and flexibility to tailor service to suit customer’s need is reflected in growing list of Zone Tech Solutions Private Limited satisfied clients. The company provides ever increasing levels of customer satisfaction by offering the highest quality in software development, e-commerce solutions, web site design and development, and other IT enabled services. Aspirants who had completed the graduation which are mentioned in this article they can attend for the openings in Chennai on 26th to 31st July 2017. The candidates will be selected based on the performance in the Interview process. Present days getting a job in IT Sector is very tough. So candidates must utilize this opportunity on or before the closing date.